The thing about digital marketing is that it is constantly evolving. Therefore, a strategy that you devised just a couple of years back doesn’t necessarily have to be valid today. Still, updating your marketing campaign and changing your strategy altogether is a lot of work, which is why a lot of people are reluctant to even try doing so unless they are 100 percent positive that it is necessary. 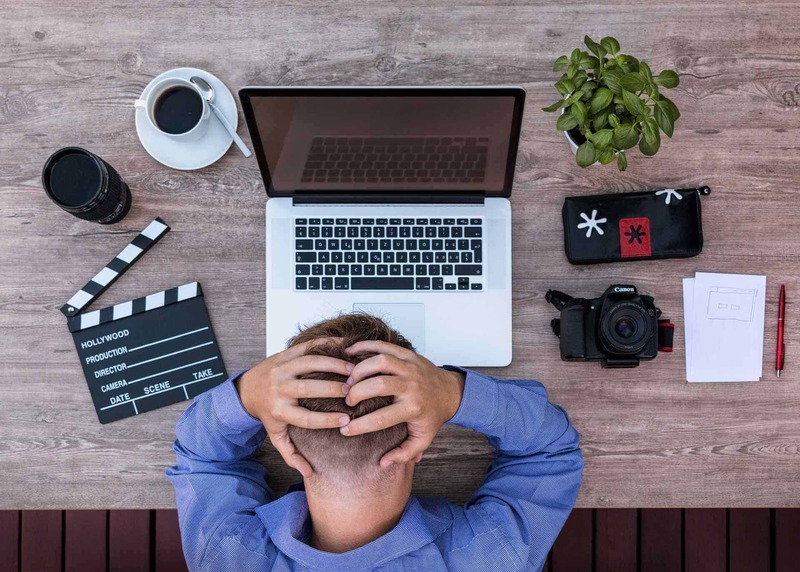 In order to be of assistance, here are five clear indicators that your digital marketing campaign is in a desperate need of an update. The question of ‘who exactly is your audience’ is probably the first one that any digital marketing campaign needs to answer. So, if you’re still not sure what the answer to the question is, you need to start introducing some changes and updates. Luckily, defining your target market is not nearly as difficult as you may have assumed. First, you might want to take a look at your customer base and compare it to that of your more and less successful competitors. Then, you need to analyze your product or service. Finally, it isn’t necessary that your target demographic chooses you. In some cases, you will be the one choosing a demographic to target. The reason why we address this issue next is due to the fact that it is closely related to the lack of basic knowledge of your demographic. First of all, as silly as it may sound, a lot of entrepreneurs don’t fully understand their product or where it fits in the business world. In turn, this leads to an improper advertisement, reaching out to the wrong demographic and completely missing your opportunity. If your marketing efforts and your sales don’t overlap, you need to find a way to fix it. Failure to do so will lead to a huge miss when it comes to choosing methods with the greatest ROI. People without previous experience have a difficult time determining if their digital marketing efforts are bringing satisfactory results. Those with a bit more experience dealing with this by reaching out to others within their niche, negotiating with other digital marketing companies and reading updated statistics year in and year out. Seeing as how digital marketing is more or less a global phenomenon, it might even be worth your while to check if outsourcing to an online marketing agency in Hong Kong would pay off. Needless to say, offshoring is a trend that is becoming more and more popular amongst entrepreneurs. A famous businessman John Wanamaker once stated that he wastes half of the money he spends on marketing but, he admitted that he could never determine which half. Today, this is no longer true, especially in the world of digital marketing. You see, with present-day analytics, you can almost precisely measure the ROI of every single dollar you invest in digital marketing. This is especially important since a lot of small businesses have a limited budget for digital marketing. Therefore, they need to hand-tailor a campaign that will utilize these funds in a way that will generate the best ROI. You know you have a problem when people who are actively looking for your brand can’t seem to find you online. Imagine a scenario where an average customer or potential customer types in all the logical keywords related to your business and they don’t see you anywhere near top results. This is particularly troublesome, seeing as how for 33 percent of all people on Google the first result is exactly what they were looking for, while 95 percent of them find the answer on the first page. Nonetheless, this is just a part of a bigger problem. Sure, not being able to find your website on the first try is bad but it happens, however, what if they can’t find your social media accounts either? Needless to say, this is a huge problem that deserves to be addressed right away. Another massive benefit of these indicators is not only that they reveal that you need an update but also the fact that they might point you in the right direction. In other words, they might suggest which of the issues needs to be tended to first and which of them requires the most fixing. Keep in mind that as your brand grows, you will constantly need to tweak advertising efforts in order to keep it growing. The sooner you get accustomed to this fact the more seamless the growth will be. Dan Radak is a marketing professional with eleven years of experience. He is currently working with a number of companies in the field of digital marketing, closely collaborating with a couple of e-commerce companies. He is also a coauthor of several technology websites and a regular contributor to Technivorz. Creating a successful brand is no easy task. A lot of companies out there have been trying to do this and they still haven’t achieved all of their goals. 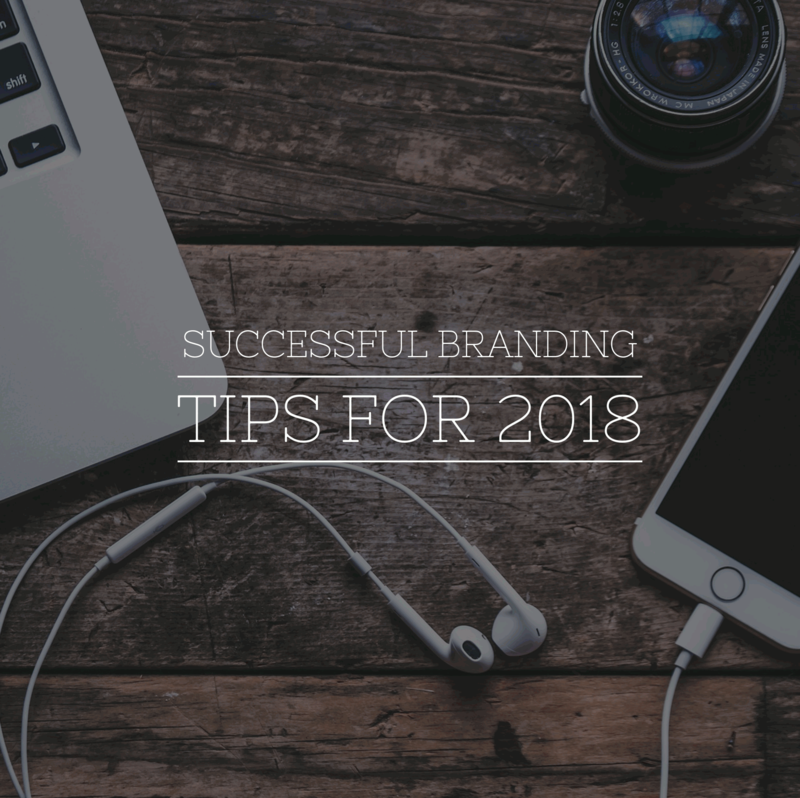 This is the case because branding is an imperfect science that involves a lot of chance – based on where your business is right now, where you want it to be in the future and, most importantly, what’s happening on the market. However, there are some tricks that are always going to do the trick and help you take your brand to the next level. We’ve come up with 5 of them that might be exactly what your brand needs. One of the biggest mistakes many rookie entrepreneurs make is stop perfecting their products or services once they reach a wide audience. Not only that this prevents them from acquiring new customers but it might even cause them to lose the current ones. Just take a look at companies like Samsung or Nike. Besides being known worldwide, these companies also keep improving their products more and more and that’s what their customers like about them. Make sure you do the same and you’ll have quality products or services that’ll serve as a base for your branding strategy. No matter what industry you’re in, your business is supposed to be much more than just the products or services you’re offering. You also need a story that’ll allow your customers to connect with your brand on an emotional level. And the best way to do this is to tell your story, still, this would require, at very least, acquiring storytelling 101 skills for your digital marketing arsenal. You can start with a piece of paper and write down your story. Once you do that, it’s time to refine it and share it with everyone. If you’re lacking ideas, you can always start with how you started out and what led you to where you are right now. In 2017, influencers played a huge role in brand creation. Every new company out there turned to influencers related to what they do, and had them review and recommend their products or services. And it seems this trend is going to stick around for quite some time. So, no matter if you’re running a new business or you’ve been out there for years, turning to influencers is definitely something you should consider doing. The best thing about this is that when working with influencers you’ll either have to pay a small fee or provide them with your products or services for free. Think about some world-famous brands, such as Apple or Samsung. One thing all of these brands have in common is a whole set of loyal customers anxiously waiting for new products to come out. Therefore, it’s safe to say that you can’t have a strong brand identity unless you have loyal customers. One of the best ways to build customer loyalty is to connect with your audience. Listen to what they have to say, implement it and engage with them as much as possible. You also need to keep them engaged with digital publishing and active social media pages. Hosting events where you’re going to speak about what you do is another great way for you to enhance your brand. These events are going to help you demonstrate your expertise and share it with your customers and other people related to your industry. When hosting an event, it’s always a good idea to turn to experts who can help you plan everything through. You can also use an email automation system to send out invitations for your event. If you don’t like the idea of hitting the pavement, you can always think about starting a podcast or holding a seminar about what you do. At the end of the day, there’s no magical recipe that’s going to help you make your brand known worldwide. However, the 5 tricks we’ve mentioned above should be enough to set you off to a great start. The most important thing to have in mind is that you need to keep working on improving your brand and bringing it closer to your customers. There are so many reasons why an SMB or a startup should start their own e-commerce website. For starters, you get to avoid a middleman like eBay and make both your business and your products appear more legitimate. Still, larger platforms often make it easier for you to grow your customer base, seeing as how they might recommend you to people who bought similar products. 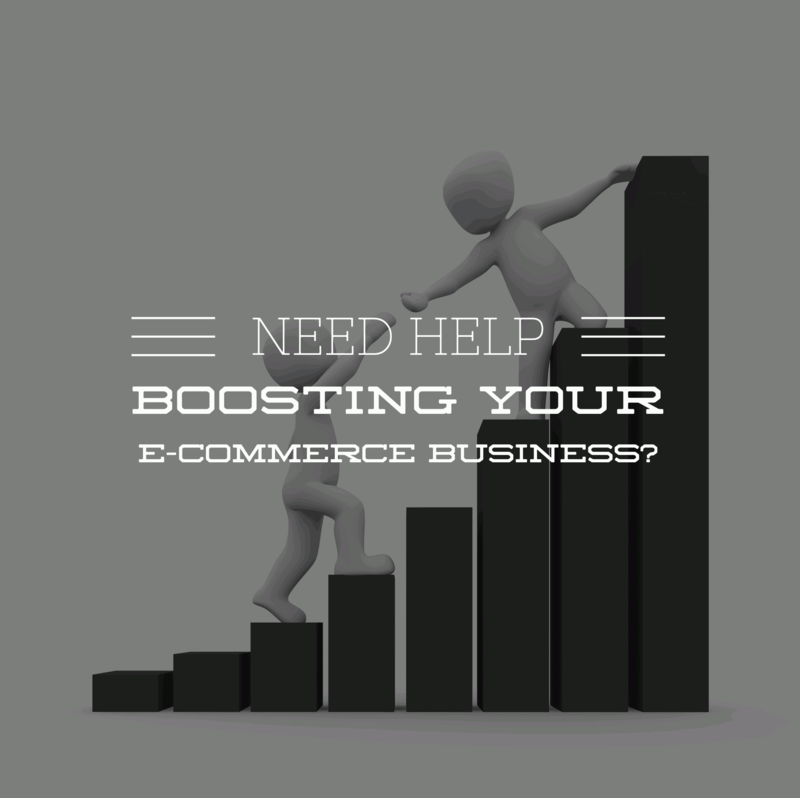 On the other hand, by finding a way to grow your e-commerce business organically, you can negate this downside and get to freely enjoy the perks of this system. Here are four techniques that are known to work. 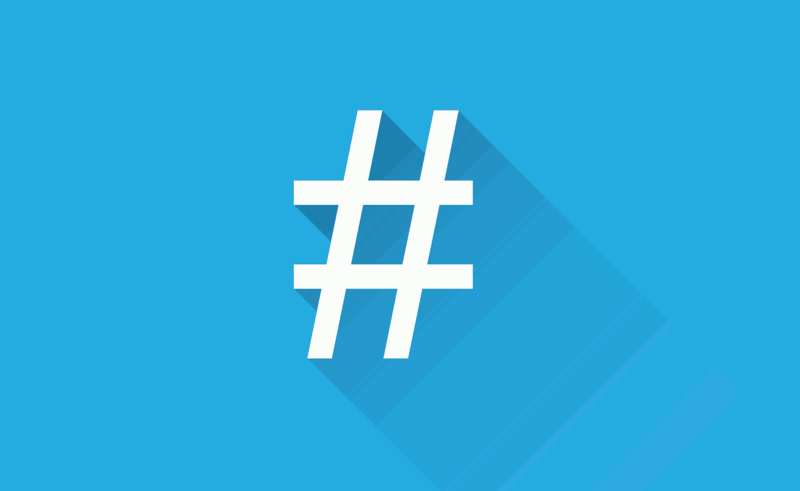 While to some people this may seem like a bit of a silly trend, in their core, hashtags are not that different from keywords. The greatest difference, however, is the fact that on your e-commerce website, you can use as many of them as you like, whereas most e-commerce platforms allow for a limited number of hashtags only. Nevertheless, you don’t want to push it, which is why you need to find a couple of hashtags to use. Now, unlike with keywords, going with long-tail might not be the best of ideas. If you manage to stay ahead of the current, hashtags will allow you to grow your business through networks like Twitter and Instagram. Sometimes, all you have to do in order to see the errors of your ways is to keep an ear to the ground. Basically, in the age of blog posts and social media, it is quite easy for you to find out what others are talking about your brand. The most efficient way to do so is to hire the services of a media monitoring agency like Isentia. Sure, there are a lot of mean-spirited comments out there but every now and then, you might discover a proper jewel amidst them. We are talking about a ground-breaking piece of constructive criticism that will allow your business to adjust to the needs of your target demographics. Another great idea is to look for influencers who are relevant for your niche and exploit this connection to drive sales your way. Getting an A-list celebrity to endorse you can be incredibly expensive, however, there are alternatives you can explore. You see, there is a division amongst influencers based on the number of followers they have. Those with less than 100.000 followers are considered to be micro-influencers, although you should not make a mistake of underestimating their reach or their influence. If the niche is right, their words may resound as strongly as those of their much more popular counterparts. Finally, any change you introduce to your e-store needs to be tested, tested and then tested once more, just in case. Keep in mind that every plugin you introduce to your platform might further complicate things and make your platform less responsive or easier to crash. Furthermore, any change you make, even an aesthetic one, might result in a situation where you actually start losing customers instead of gaining them. The only way to test those changes in a controlled environment is to go with A/B testing. The thing about the above-listed four ways is that, although their success may differ from industry to industry, they usually tend to yield immediate results. Needless to say, this makes it much easier for one to track their ROI, which makes devising any future strategy much easier. Apart from the above-listed four, there are many other sales-boosting methods you might want to try out. Nonetheless, most of them are not nearly universally-applicable and are more situational or even niche-specific. 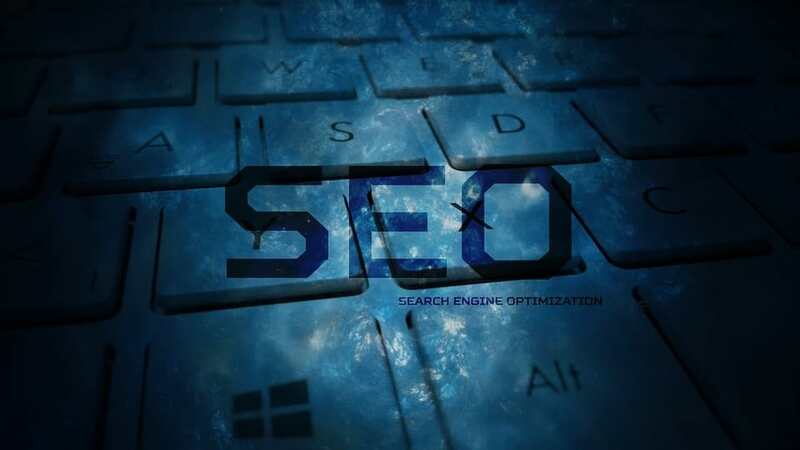 If you want to survive in the world of modern business, you simply have to invest in SEO. And since more and more companies are starting to realize this, we now have the chance to use tools that have been specifically designed to help you improve your SEO efforts. 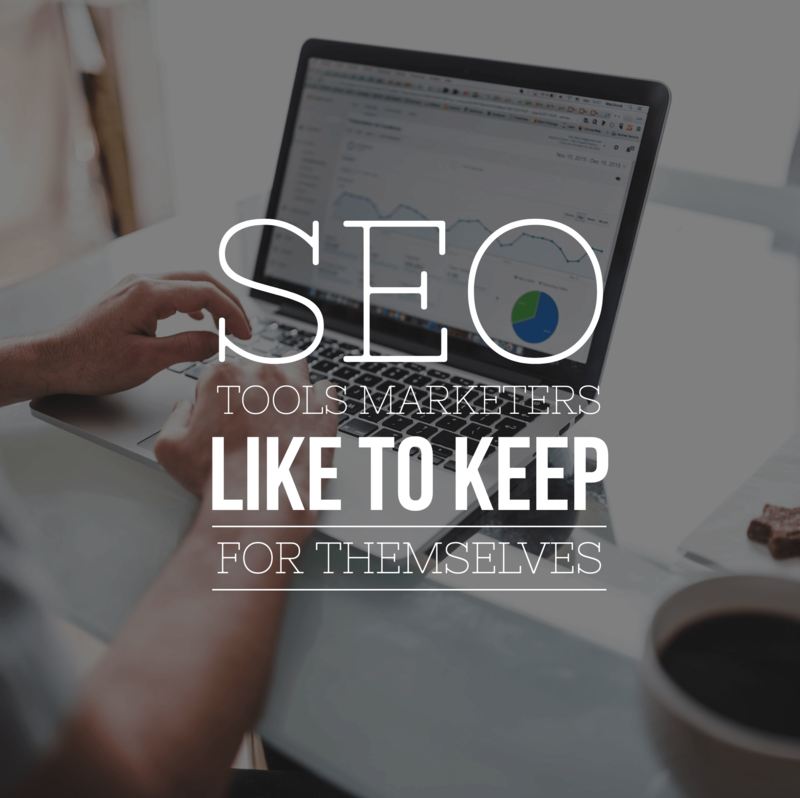 Still, if you haven’t been paying enough attention, chances are you haven’t caught a glimpse of the most popular SEO tools out there. After all, most marketers want to keep these for themselves, in order to stay one step ahead of their rivals. Luckily, you’re at the right place, since we’ve compiled a list of 3 of these tools that might be exactly what you need. Of course, companies that want to invest in SEO are always going to need keywords they’ll focus their campaigns on. It was Brian Dean who said that there’s no SEO without keywords. However, companies used to struggle quite a lot to find keywords for their campaigns. And while there are some great tools, such as Google Keyword Planner, marketers nowadays have turned to another free tool designed for these purposes – Übersuggest. This tool is a great alternative to Google Keyword Planner, as it offers a whole range of suggest services to help you come up with a list of potential keywords. Another great thing about Übersuggest is that this tool is completely free to use and that’s why so many agencies enjoy using it. You might believe that an alternative tool such as Übbersuggest is difficult to use but the truth is – its simplicity is one of the reasons why experts like it so much. All you have to do is access the Übbersuggest website and type in your desired keyword(s) into the search bar you’ll see across the entire screen. What you’ll get after you do this is a number of keywords you can use in your SEO campaign or a campaign for your client. Even though this tool is mostly used by individuals and business owners trying to figure out what their keywords are supposed to be, there’s no harm in agencies turning to it in order to help their clients choose their keywords. It doesn’t take much time to get used to using Übbersuggest, especially if you already know how the world of SEO works. And even if you’re new to SEO, you should be able to get a hang of it pretty quickly. This is another tool that has been created out of pure need. All agencies out there used to waste hours and hours on link prospecting and they were desperate for something that’ll make their life easier. Luckily, the experts at Four Dots have managed to come up with an amazing link building tool called Dibz, that suits every agency’s needs. But what exactly does Dibz do? Basically, it’s an advanced link prospecting tool that aids you in the link prospecting process and makes finding influencers both quicker and easier. This is done by eliminating all the clutter you run across manually from the equation, thus enhancing your link prospecting and link building efforts. What’s so great about Dibz is that this tool is pretty easy to use, which is exactly what modern companies and marketing agencies need. This means it allows you to identify great link building opportunities with just a few clicks of your mouse. All you need to do is type in the keyword you’re working with. Let’s say you’re looking for linking opportunities for an SEO company – what you’re supposed to do is type in the most obvious keywords for it and choose the research type you want Dibz to do for you. Dibz comes with a whole set of premade campaigns, which makes it pretty easy to identify the research you want to do. Of course, each of these sets has been designed in a different way in order to help you out with a different type of prospecting. And there’s no need to say these premade campaigns will save you tons of time when trying to craft your link prospecting campaigns. Even though this tool was launched by Google, many experts still haven’t used it. This is the case because rarely do you have the need to remove links, which is exactly what this tool does. However, just because you never needed to do this up until now doesn’t mean you won’t have to do it in the future, and having this tool in your arsenal can be a real life-saver once something occurs that sparks the need for a disavow. Even when using a tool like this, it’s extremely important that you work together with the site owner in order to remove the link you no longer need correctly. However, disavowing links should always be your last resort and therefore, there are some things you’ll want to do before using this tool. This is the case because disavowing your links can seriously hurt your SEO, which is definitely something you’ll want to avoid. So, before you start using this tool, it might be a good idea to manually request a link removal. And if that fails, using the Disavow Tool is going to be your safest bet. This tool will help you find the link you want to remove and allow you to do it with just a few clicks. If you don’t have too many links, we recommend checking each of the links yourself before you actually disavow them. This way, you’ll get a chance to see what’s wrong with your links and make sure there’s no need to use link removal tools again in the future. If you’re looking to enhance your SEO arsenal, having these 3 tools in mind is definitely a good idea. In fact, there’s no reason why you shouldn’t give each of them a go straight away. This way, you’ll be able to get a hang of it and use them as soon as you start another SEO campaign. Fivenson Studios is based in Ann Arbor, Michigan, our graphic design team specializes in logo and web page design, as well as marketing campaigns for social and print media. From flyers and brochures to targeted landing pages, we aim to bring your company into the spotlight and reach a greater range of potential customers. Comments Off on What is Design? Design is the search for a magical balance between business and art; art and craft; intuition and reason; concept and detail; playfulness and formality; client and designer; designer and printer; and printer and publico. Design requires focus and a passion for being creative. We’re not just a team of designers; we’re strategists, thinkers, and makers with a passion for solving problems by understanding people. We create experiences that people love by recognizing customers’ needs and desires, as well as the trends and technology that affect them. For over 10 years, we’ve been honing our practice, making sure that every part of the brands of our clients is experienced exactly the way it’s meant to, whether it’s a service, product, or digital interaction. The world is full of great ideas, but not great implementation. That’s what we’re here for: to help shape your ideas into meaningful and honest customer experiences. One of the most important thing companies can do is to put themselves in their customers' shoes and imagine what they would want from one such company. Digital marketing is no different. In digital marketing, the most important thing that customers (in this case, clients) want is to know exactly what their agency is doing for them and what they are planning to do in the future. In other words, they want transparency. Unfortunately, not all agencies understand or wish to do this. By acting this way, they are hurting their clients and themselves. Even if your agency is one of the more transparent ones, there are probably still a few things you could do. The main reason why transparency has been one of the hot topics in digital marketing for the last couple of years have been a number of trends and events which marked 2017 and which call for better practices. It all started in January when Marc Pritchard, the Chief Brand Officer of the world's largest advertiser P&G gave a speech at an event organized by the Internet Advertising Bureau. In one of the most important marketing speeches in the last decade, among other things, Pritchard admonished the current state in digital advertising where Google and Facebook did not allow third-party verification of the number of ads seen and where numerous agencies they worked with engaged in the non-standardized behavior. Facebook and Twitter were also berated on a number of occasions, saying how their advertising numbers (self-reported, of course) had nothing to do with the actual number of people ads on those platforms reached. In 2017, we also saw the concept of influencer marketing being examined more closely, revealing an even murkier state of things. Namely, most studies showed various brands handing serious money to YouTube, Instagram and Facebook influencers without knowing exactly what they are paying for or how this would influence their bottom line. Content marketing and SEO have also been put under the microscope more frequently than before, often showing that agencies have been engaging in practices that do not correspond to what works well in the long run. 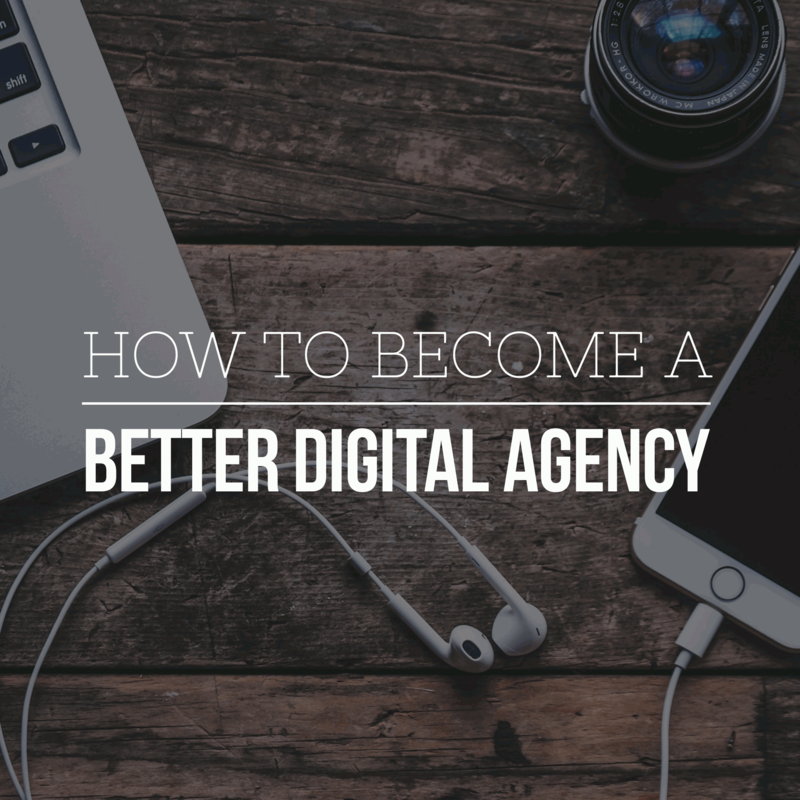 The good news is that digital marketing agencies can easily avoid aforementioned issues by becoming more transparent with their strategies and tactics they use to help their clients. For one, digital agencies should become more involved and forthcoming when it comes to briefs they receive from their clients. In most cases, the clients simply do not know exactly what they want and how they want it done. It is the responsibility of the agencies to help them come up with briefs that will be clear, factual and 100% transparent. This is the first step in enabling relationships that will work for everyone. Another important thing is that agencies are upfront about what is possible and what simply cannot be done. For instance, if a newly opened legal firm from New York City approached an SEO agency and told them that they want to be in the top 5 Google results in the next two months, it is the responsibility of said SEO agency to explain to them that this is simply not possible. Agencies should explain what goes into their work and which outcomes are realistic. Moreover, clients will sometimes come with certain requests that cannot be met in the way they imagined them to be. For instance, a freshly opened eCommerce store will want to use social media marketing to boost their customer base by a factor of 5. This is not how it's done and the agency should explain this to the client. The agency will also recommend a course of action that might work to this end, like for instance spending some money on Facebook ads, for example. The important is that everyone is frank and open. It is also essential that the clients are familiar with the KPIs that will be used to ensure that agencies' people are doing everything in their power to deliver on the promised service. Using a streamlined, client-friendly KPI dashboard is the most straightforward way to do this as it will provide the clients with all the data they will need to determine if their agency is actually doing good work for them. Clients should be provided with ongoing insights into how their campaigns are performing and whether something should be changed. Finally, agencies have to be upfront about the lack of success, should they experience it. Sometimes, things just do not work out, no matter how much expertise, work hours and everything else is poured into a campaign. Agencies need to make their clients aware that something isn't working, instead of letting them throw more money on it. It is in everyone's interest to have a transparent agency-client relationship. It lets clients know exactly what their money is getting them and it allows agencies to work without worrying about every penny they spend and every little move they make. We wish everyone a very happy 2018. May all your dreams come true, and to those who own businesses, may you have a prosperous year ahead. Thank you to everyone that has supported us thus far; we look forward to serving you in the year to come. According to a recent statistic, about 46 percent of all adult Americans experienced a credit card fraud, sometime in the last five years. The reason behind this is the fact that some of the world’s greatest economies, like the UK, Canada, US, and Australia are the most cashless countries in the world. On the one hand, it made the transition from traditional retail to e-commerce a lot easier but on the other hand, it made the hazard of online frauds into an even greater issue for consumers and businesses alike. 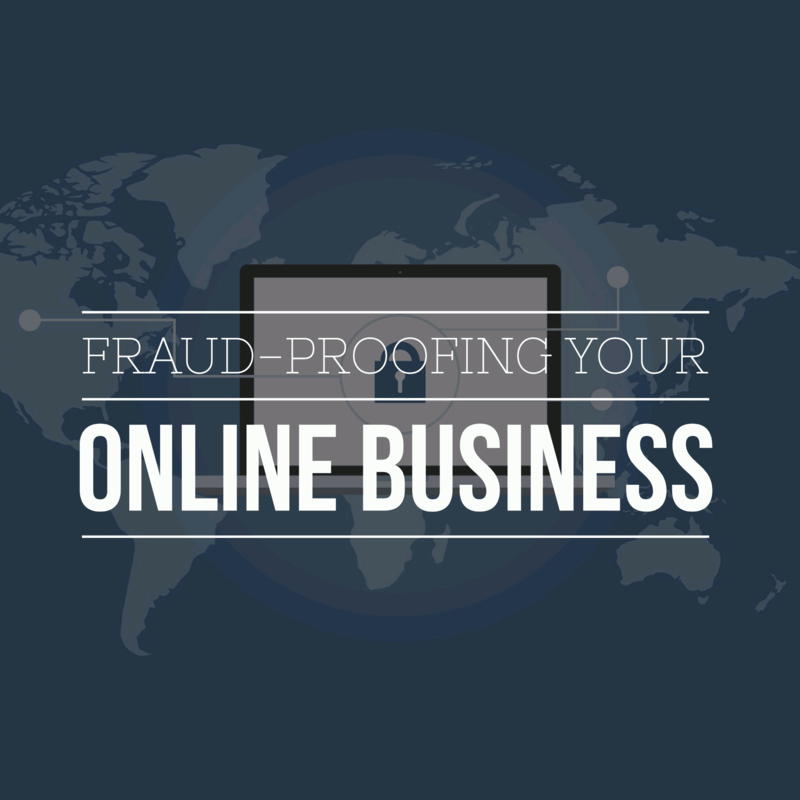 With this in mind, here are five methods that online business owners can employ in order to fraud-proof their online business. The first thing you can do to make your online business safer is protected your users from themselves. The fact that their account got hacked due to their own mistake is not something that will prevent your customers from blaming you for their trouble. Therefore, you need to take all the necessary steps of precaution. During a registration (provided there is one), you shouldn’t allow passwords that are shorter than eight characters. Furthermore, you should insist that they include letters (both lower and uppercase), as well as numbers, in order to further crack-proof their passwords. Another important thing you need to do in order to protect everyone is to warn your consumers of the imminent threats such as high-risk tourist regions and phishing. Some countries like Egypt, Mexico, and Ukraine are known for their high rates of credit card fraud, which is probably something you should mention to your clients (just in case they plan to go there for a vacation). Furthermore, you need to give them a couple of pointers on how to recognize a phishing scam. Failing to do basically means giving out your password to a malicious entity. Needless to say, from this point on, your power to protect them becomes quite limited. Sometimes, simply having an ironclad defense system isn’t enough, seeing as how it isn’t there exclusively to protect their financial assets but also to protect the image of your brand. Therefore, you need to get a certificate that vouches for your ability to provide their information and finances in the digital world. One of the best ways to get there is by managing to achieve and maintain PCIDSS compliance, which is one of the highest security standards in the payment card industry. While it is true that most online interactions are, for the most part, anonymous, in some cases, your users might take a few special steps to ensure their anonymity. Although using a proxy server isn’t illegal, it is definitely an activity that should raise some red flags. Unfortunately, your hands are, more or less tied here, seeing as how identifying a proxy server is difficult. On the other hand, it is definitely not impossible, which is something you might want to allocate some of your resources towards. 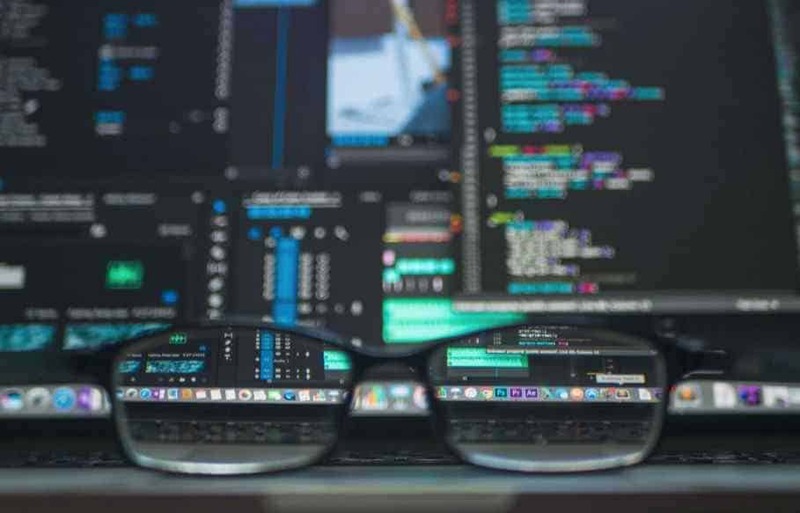 Finally, one of the most controversial topics when it comes to the issue of online frauds and credit card frauds, in general, is the one about the acceptable fraud level. According to numerous statistics, on every $1,000 spent on credit cards, about 50-60 cents get stolen, which may not seem as much but in reality, it is. It’s not like hackers magically steal a couple of dollars per account; one consumer gets their account cleaned while the greatest majority of them are completely unaffected by this. Nonetheless, that one dissatisfied client is more than enough to harm your brand’s reputation for good, even if none of it was your fault. Therefore, phrases like this one are best avoided. At the end of the day, what do you do in a situation where you can’t protect your website with 100 percent certainty and you don’t have a luxury of accepting an acceptable fraud level? 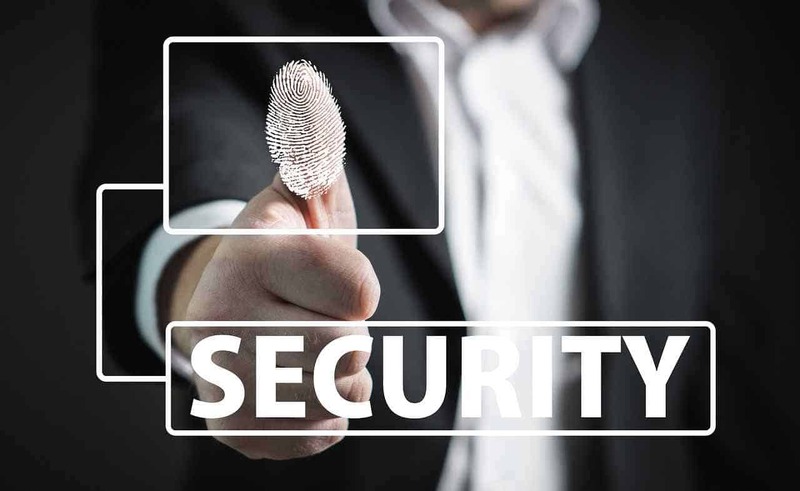 Well, you give it your best to keep up with latest safety certificates, procedures, and measures, as well as try to persuade your customers to help you protect their privacy. All things considered, it might just be enough. Comments Off on Why is Top of the Funnel Content so Important for your Business’s Online Success? 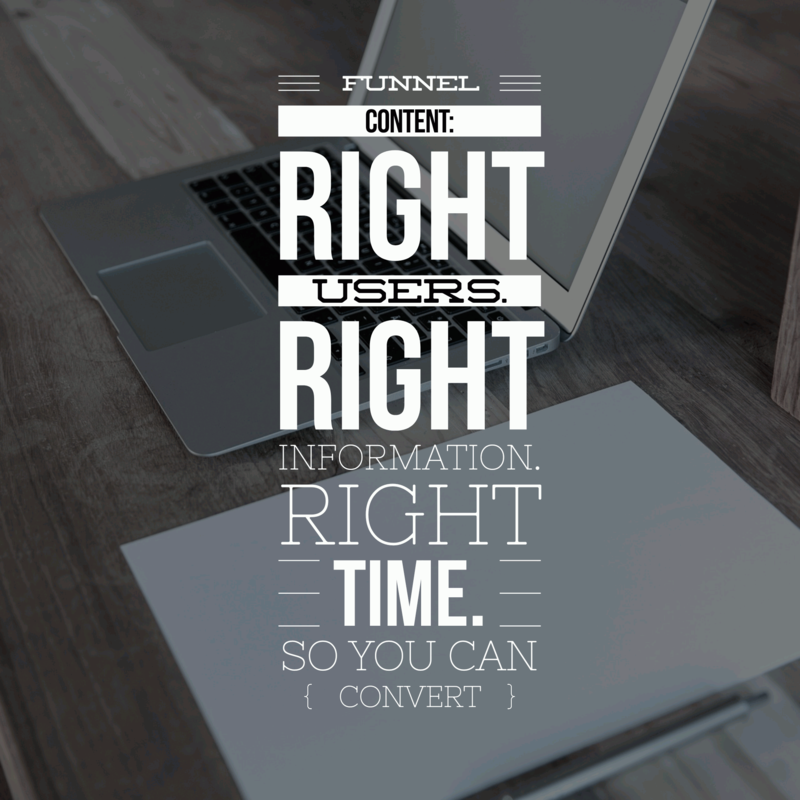 Why is Top of the Funnel Content so Important for your Business’s Online Success? Content marketing is not a passing trend. It has been tried and tested over and over again. Many big businesses today continue to allocate enormous chunks of their overall marketing budget to content creation. According to the people behind Smart Insights, content is still one of the most important tools in every successful digital marketer’s toolbox. That is why a lot of big players are planning to pour even bigger amounts of money into its production in the upcoming year. For example, Apple alone is making plans to invest up to 1 billion dollars in the development of original content in 2018. Amazon is not far behind. Insight’s research has shown that loads of currently active and respected industry professionals still see content marketing as the ultimate technique for increasing sales and traffic. In their eyes, content marketing ranks above all other forms of digital marketing and it’s considered to be an instrument that can transform brands from zero to hero in no time. However, even though content marketing is still on the rise and more and more businesses plan to level up their game in this department - a couple of studies have shown that there are still numerous brands online that fail to make their content marketing efforts work for them. As HubSpot’s 2017 research claims, only 30 percent of today’s active B2B marketers feel that their brand is seeing some noticeable return on their content marketing investments, which is, according to the same study, 8 percent less than in the previous year. In most cases, this is because their content isn’t in sync with their buyer’s journey and their top of the funnel material isn’t really inspiring people to interact with their brand. What is Top of the Funnel Content and What is Its Purpose? In 2017, the reason why we invest in content marketing is to generate more leads and sales for our business. Its primary objective should be to serve the right type of users the right type of information at the right time, so they can convert. In order to do that, your efforts in this department need to be intelligently planned and executed to perfection. Every agency and company now have a content creation system, where every piece of content is basically an opportunity to bring in a new lead or inspire someone who they already know to finally conduct one of the desired actions on the site. In theory, most of today’s content marketing strategies aim to be in sync with every stage of the marketing funnel. Top of the funnel content is content that basically tries to get people through the door of your business. Regardless of how big, innovative, or impressive your company might be, it’s highly unlikely that people are actively looking for ways to interact with your brand online. Unless you're Apple, of course. For us, common folk - the situation demands that we do everything we can to get people to visit our site. Our potential buyers browse the Internet for valuable, engaging content that entertains and helps them acquire new knowledge about topics that they see as interesting, not our brand and business. If our brand isn’t consistently creating and distributing such content, we are missing out on an amazing opportunity to connect with the people who have the potential of becoming our paying customers, build influence, and grow on multiple levels. That is what top of the funnel content does - it gets people interested. Top of the funnel content is part of the awareness phase, meaning that its job isn’t to sell your product and services to your audience, but rather to educate them, or address common pain points and questions. The primary goal is to stimulate audiences to interact with your brand and thus - develop a consciousness about your business. By doing that, you will turn visitors into genuine leads, with whom you can develop relationships. Most people focus on the first two elements, and that is mainly why their ToFu content fails. Your content needs to educate, not just entertain. ToFu content is created for people who are just realizing they have a problem and they need to do something about it. These individuals turn to the search engine in hopes of finding relevant solutions for their troubles. This is where you should come in with your ToFu content. Even though the most top of the funnel content strategies tends to cast a wide net in order to capture new audiences, the thing you should always use as bait is your expertise regarding your particular niche or market. When you help people with a specific problem and teach them something new, you will gain their trust. Those who have gone through your content and gotten exactly what they needed will most likely buy anything you put in front of them. Top of the funnel content should be non-branded and unbiased. It should simply answer the questions that people type into Google’s search, without any forced self-promotion. If you do a good enough job of providing searchers with relevant content that provides answers to their searches, people will surely make an effort to remember your web address or logo. Thank you for taking the time to read this post, I hope it has helped you understand what ToFu content really is and how to develop it properly. What keeps you going in life? 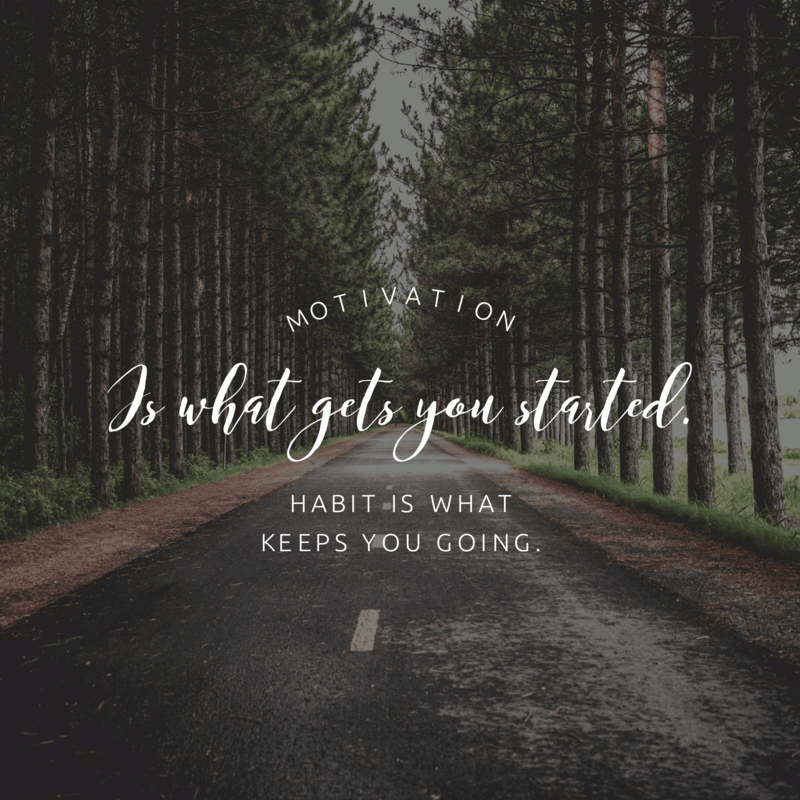 We have all heard of motivation in such large lengths and at a certain stage of our lives, I even thought that it was the only thing that mattered in my life. Each time something went wrong, I would listen to Eric Thomas, Tony Robbins or search Youtube for motivational speakers and would wait for a surge of power within. Making the decision to change your life for the better, whether it’s towards a post-holiday fitness goal or an attempt at a different career is admirable, but only the first step in a long journey. The best example of this is running: the decision is the easy part, and the motivation to keep going for the first few weeks is perhaps the most critical measures. But all of that means nothing unless you form a habit out of running like most things, you gotta use it or lose it.